So we’ve all been there, a New Year rolls around and we say to ourselves ‘right, time to get in shape’. So we decide to take up running cause we’ve all heard how running is the best exercise you can do. You grab your trainers and off you go, telling yourself that of course you can run 5k that’s nothing right? 25 minutes later and your out of breath and your shins are hurting, which seems odd because you didn’t think you were THAT out of shape. Sound’s familiar right? What a lot of people don’t realise is the huge difference a good pair of proper running shoes can make, they just assume trainers are trainers right? Wrong! A good pair of running shoes are specifically designed to fit certain types of feet and running styles and should be fitted by professionals who can tell you what your gait is (running style). Selecting a good pair of running shoes comes down to pronation. This term simply refers to the degree your foot rotates toward the inside when you run. There are two kinds of runners: One who has too much pronation (whose foot rotates too much while running) and one who has insufficient pronation (whose foot barely rotates inward when running). The best way to get a pair that is right for you is by visiting a shoe store that emphasizes selling running shoes. These stores usually have a knowledgeable staff that will even let you try running around in the shoe. 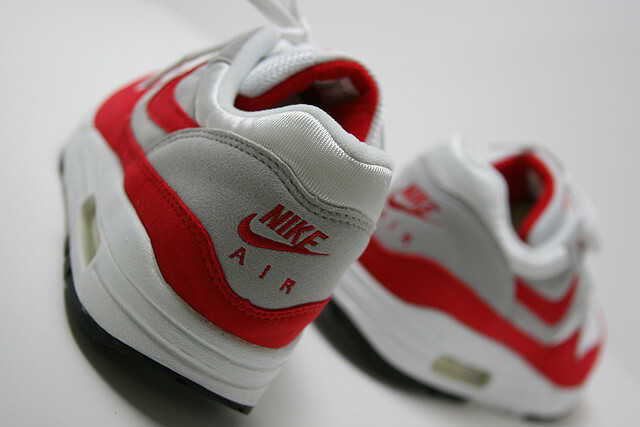 Good running shoes such as Nike Air Max can be found in outlets such as office shoes. If you use any kind of shoes–even ones for other types of athletic purposes–when you run, you will end up with the sorest feet ever. A further taboo is picking the incorrect kind of socks to make matters even that much worse. In example, cotton socks are a big no-no when it comes to picking socks for running because of their tendency to cause friction against your skin. So if you are wearing unwieldy and inappropriate shoes–such as basketball shoes–and cotton socks that are thick, you should expect to see your feet in bad shape after your running exercise. It is noteworthy to point out that this adverse effect will happen quite quickly, too. So if you want to avoid blisters and the effects of sore feet and the front of your legs, invest in a good pair of running shoes. If you do develop blisters you may wish to get some protection from a plaster or similar product such as those from Dr Scholls. Just using running as an example you can see already that you really do need the right tool for the job and this applies to all other forms of athletics. You wouldn’t turn up for the long jump wearing a nice pair of shiny dress shoes right? You might not know what shoes you would wear but you know that it definitely isn’t dress shoes. With the right shoes, you will be more comfortable and have more control over your body when running, jogging, jumping, sliding, or landing. Quality sports shoes should offer cushioned support in the front, sides, and heel so your foot absorbs the least amount of shock as possible. Nike is famous for offering shoes that can give you this support and more. Whether you are shooting hoops, running bases, or trying to make a goal on the soccer or lacrosse fields, the right pair of shoes can give you an edge. Nike shoes have been tested time and time again on professional and amateur playing fields by those who are serious about their game. Being sure you are clothed with proper shoes and proper clothing is one of the most important aspects to being active and successful in sports. Having uncomfortable shoes and clothing can only inhibit your abilities and distract you from your goals and successes as an athlete. Therefore, be certain you take proper care to ensure you are wearing the most appropriate clothing and shoes for you and your sport. Companies such as New Balance and Asics make shoes specifically for running, including competitive running.